Does this E-book include individual coaching with Alissa? No. This E-book does not include group participation or email/phone/FaceTime communication. Purchasing the E-book does not create an individual coaching relationship. Does this E-book guarantee specific results? Alissa is thrilled to bring this E-book to acne-sufferers world-wide, having tested this information in the clinic first-hand. 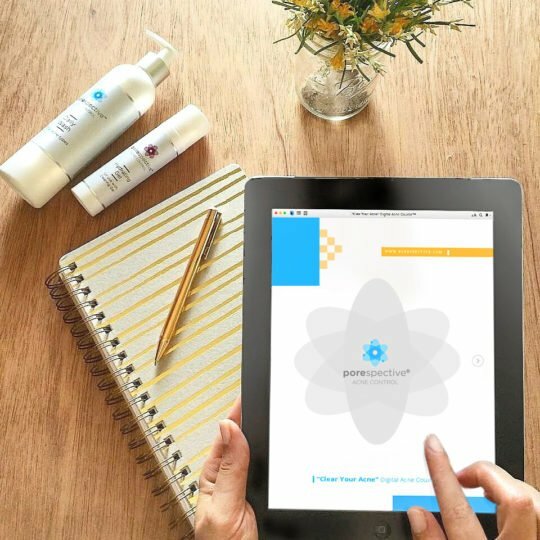 Alissa’s before-and-after pictures and testimonials on Google are from real-live people who followed her recommendations in the clinic setting, did the work, and finally got the clear skin they’ve always wanted. Please keep in mind that getting completely clear requires avoidance of pore-clogging makeup, hair products, sunscreen, and any additional skin care products you may be using; refraining from skin picking; eating a low-inflammatory diet and staying away from acne-causing foods; practicing lifestyle habits that keep your skin clean; and following an acne-safe skin care routine. DISCLAIMER: Since Alissa can’t go home with you to monitor your product usage and lifestyle decisions, she is unable to offer a money-back guarantee on this E-book. Given the nature of the E-book, there are no refunds.